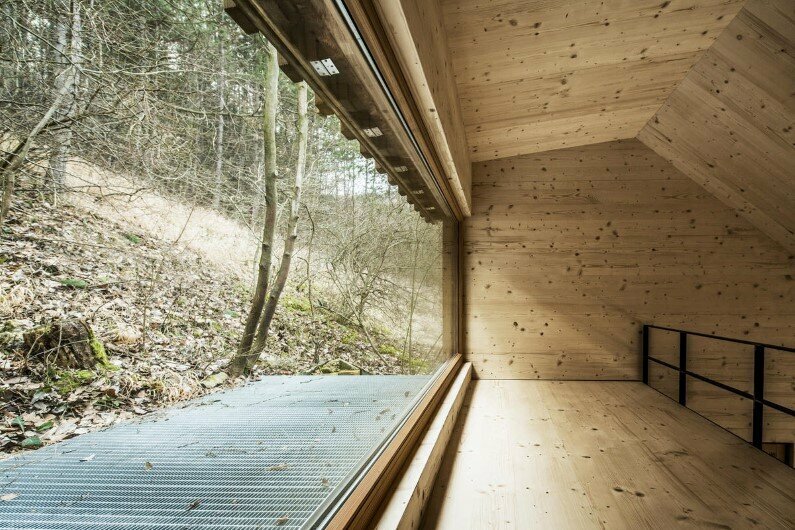 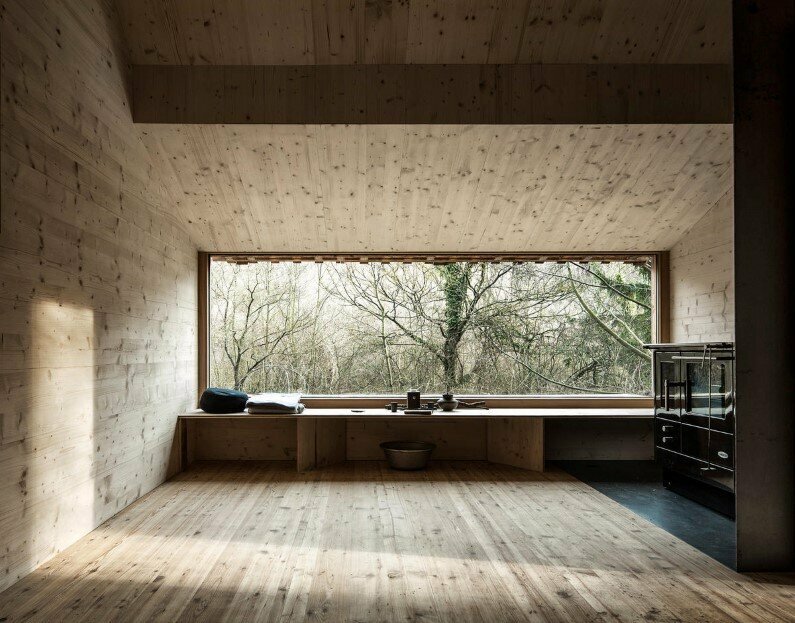 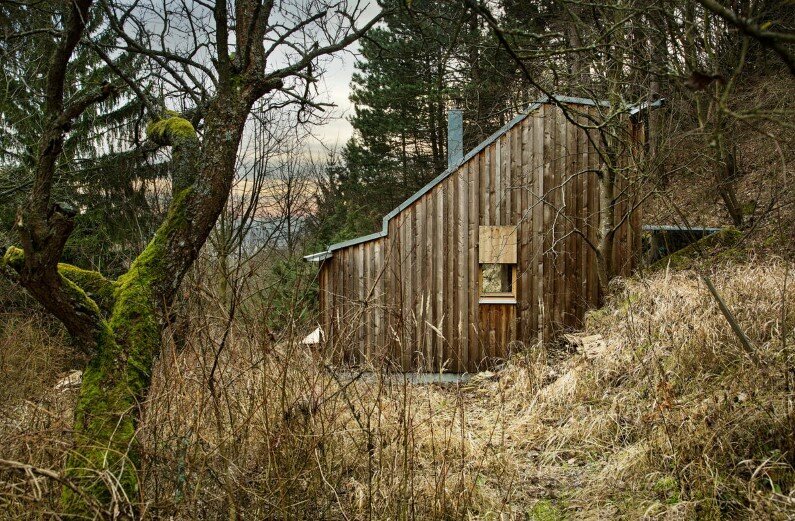 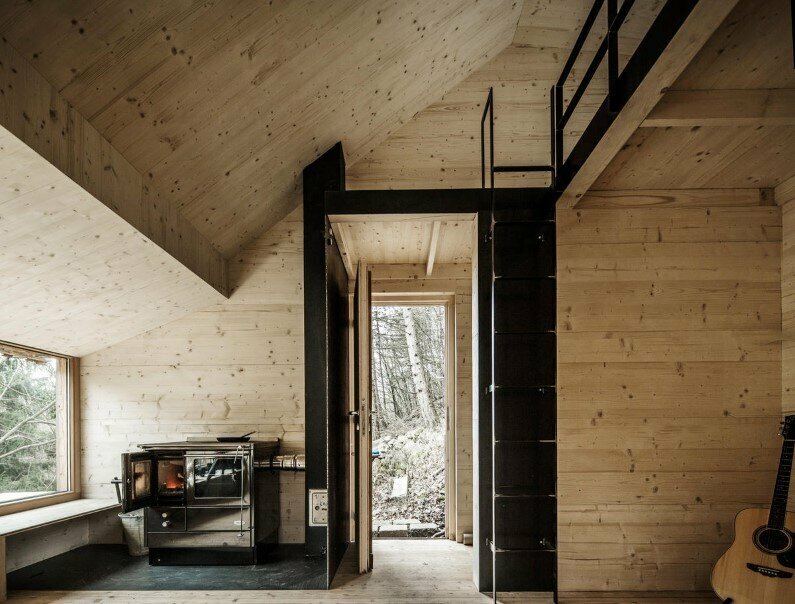 Raumhochrosen Architekturerzeugnisse is an architecture studio based in Bregenz, Austria, which designed the Tom’s Hut as a place of refuge in nature, where you can find tranquility away from urban bustle. 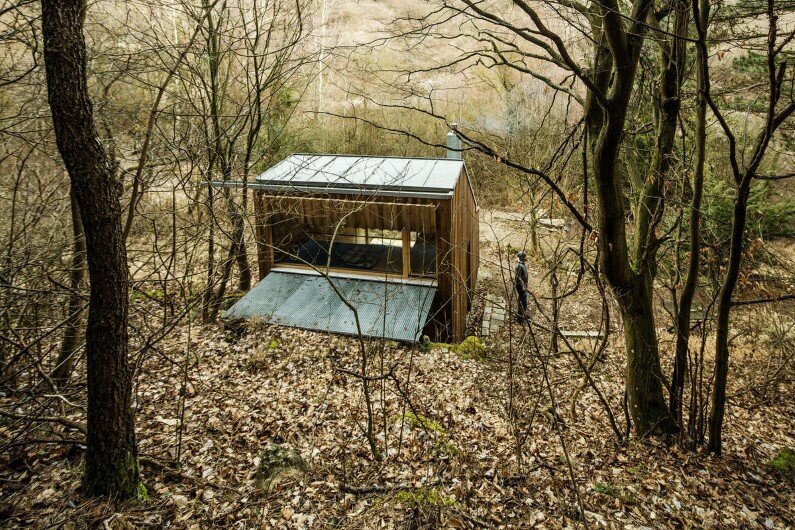 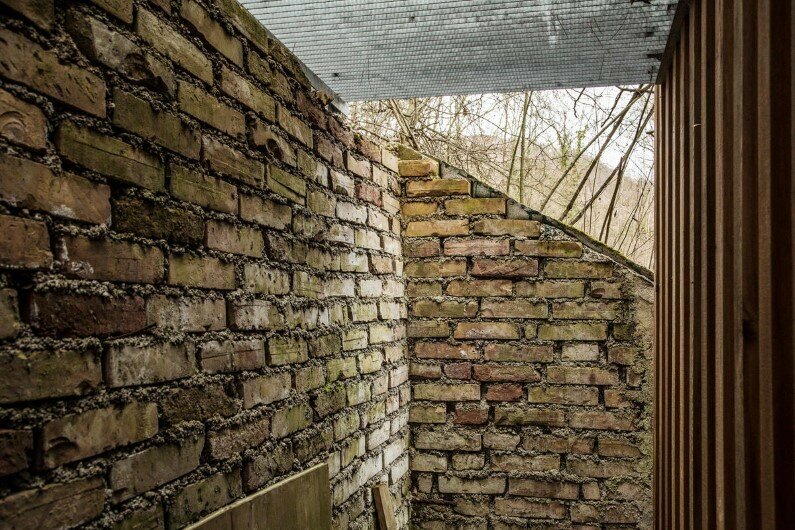 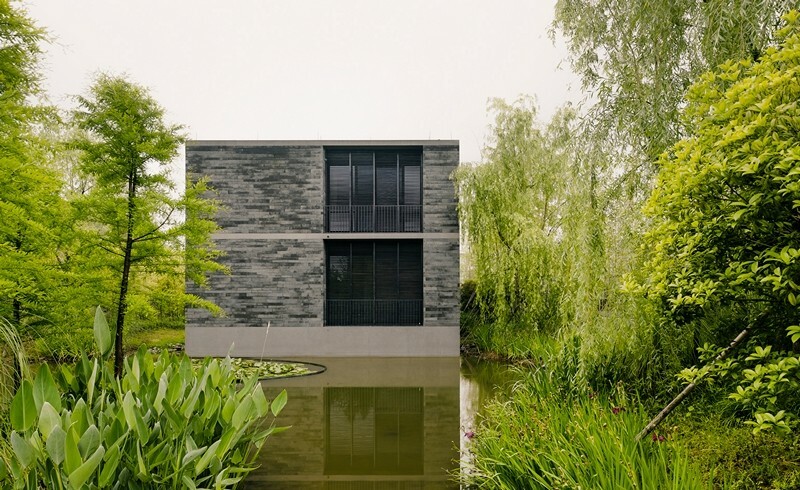 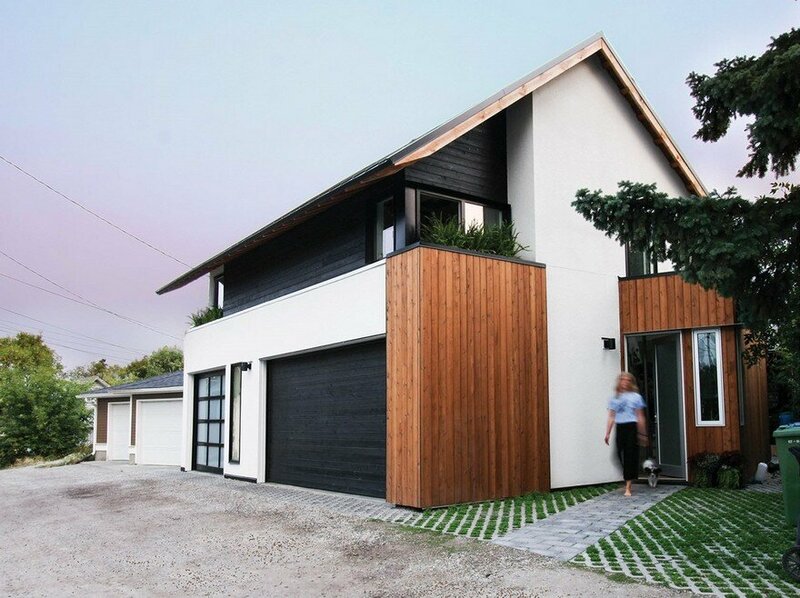 This simple house refers intensively to its environment, follows the contour of a previous, decaying building and was really drafted around a man and his passions. 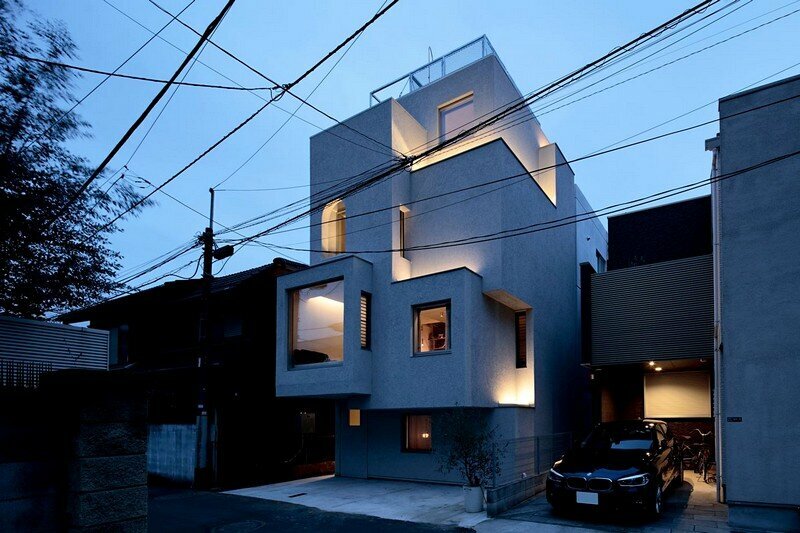 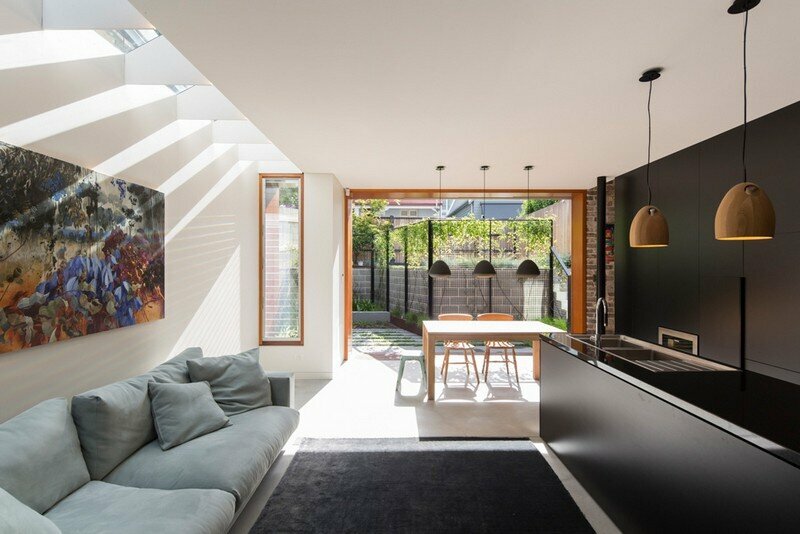 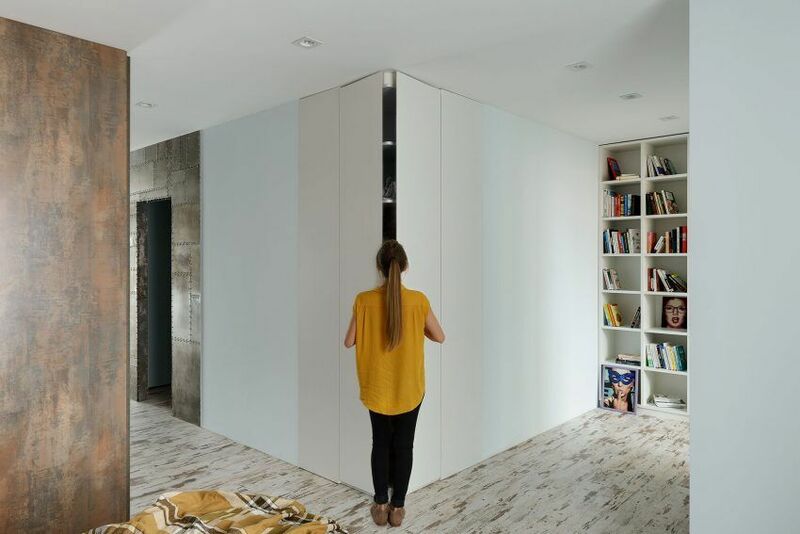 An angular shape encloses space on two levels life in this retreat. 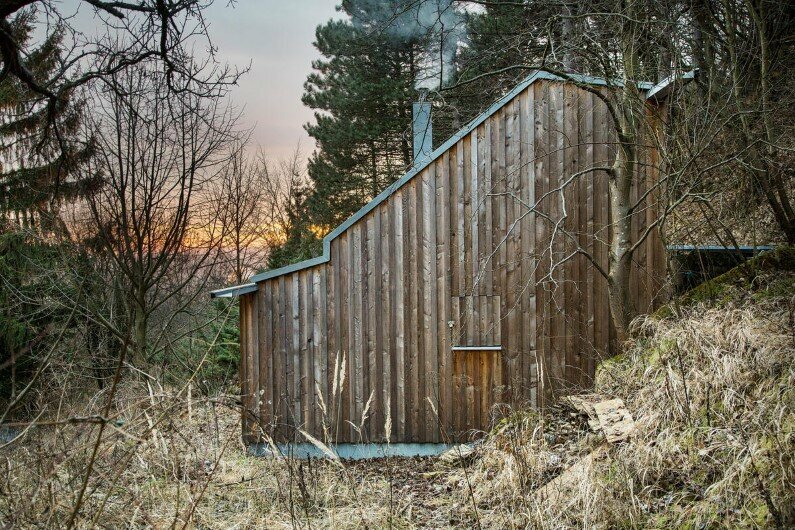 Firmly closed on all sides with wooden bars, the hut can open his windows to different views. 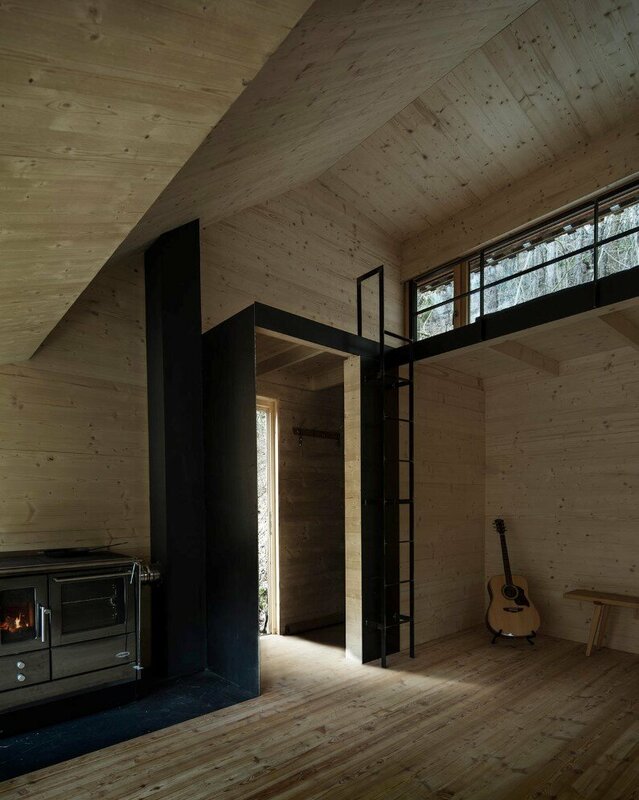 Totally made of wood and prefabricated it provides everything you need in a such a confined space. 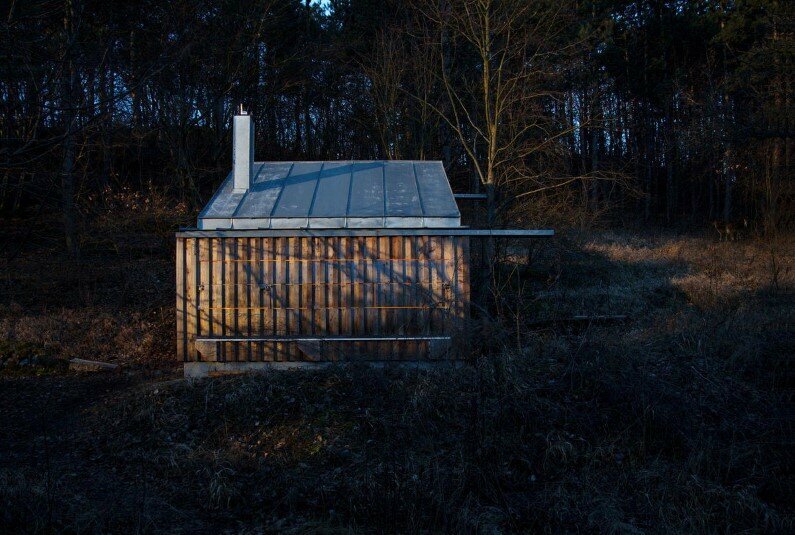 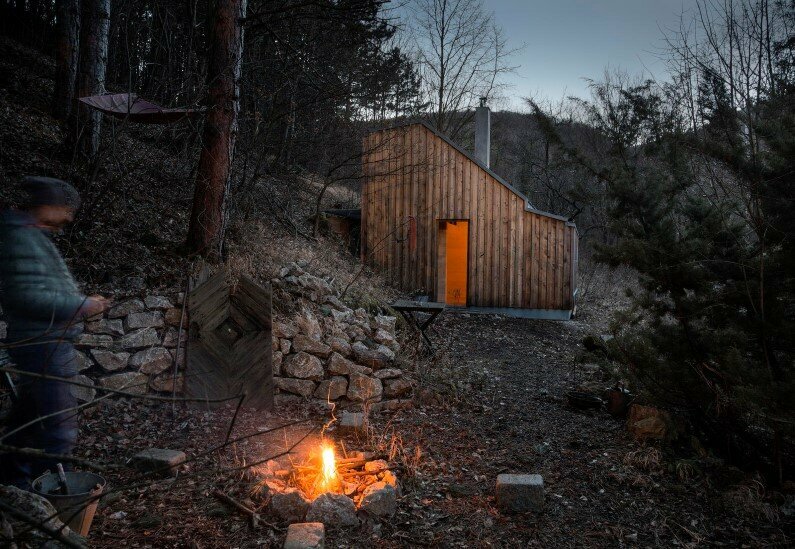 The hut as a striking identity becomes a partner, a place of retreat, but also for hospitality and personal development. 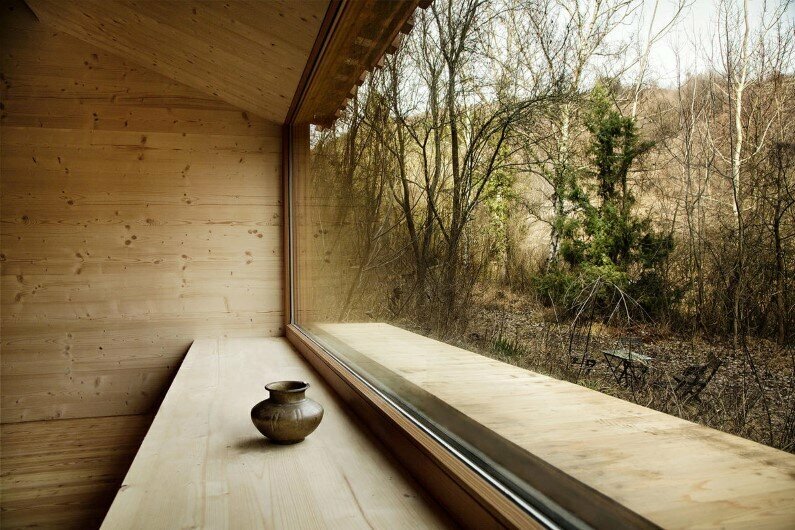 Arrive, find shelter, rest, nourish yourself and find balance within. 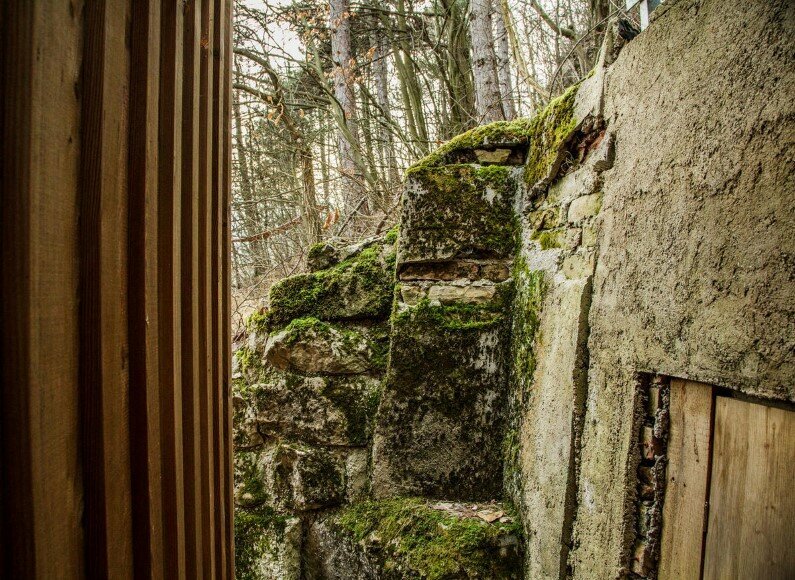 Then the view outside into the wild vision.